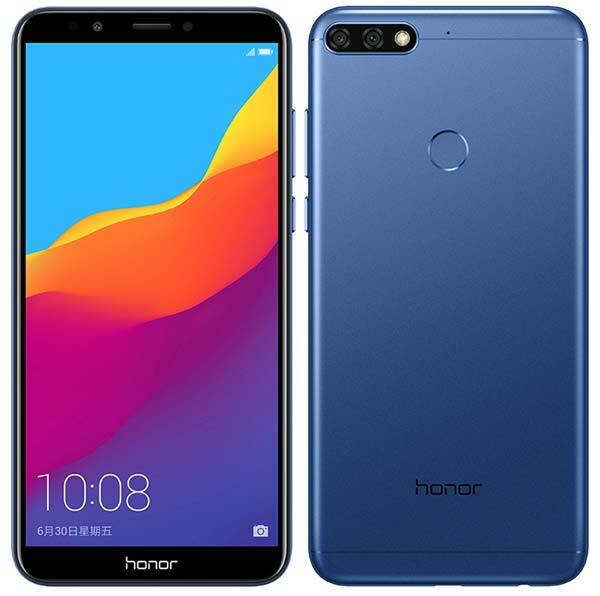 Honor 7C is dual camera smartphone comes with a 5.99-inch display with an aspect ratio of 18:9 and powered by the Snapdragon octa-core processor clocked at 1.8GHz with a 3000mAh battery. It is available in two configurations – 3GB RAM with 32GB storage and 4GB RAM with 64GB storage. There is also a dedicated microSD slot let you expand the device storage up to 128GB. This runs on latest Android Oreo with Huawei’s EMUI on top. The dual-camera setup on the rear side includes a primary 13MP and a secondary 2MP depth sensing sensor along with a LED flash. The front camera has an 8MP sensor with Selfie flash and also supports beautification. Apart from the rear-mounted fingerprint scanner, this smartphone also supports Face Recognition to unlock the smartphone using your face. The camera also supports various shooting modes such as Portrait, Skin beauty, Panorama, HDR, Watermark, Smile Capture, Voice photo etc. In terms of design, Honor 7C has a metal body with the top and chin are made up of plastic. Other key specifications are GPS, Bluetooth, WiFi n, 3.5mm Audio Jack and a micro USB port. The Honor 7C is offered in four colors – Blue, Gold, Black & Red and available to buy in China starting 13th March 2018. The 3GB/32GB variant is priced at CNY 899 (Approx. ₹9,250) and the 4GB/64GB at CNY 1,299 (Approx. ₹13,400).